When I saw Justin McConnell’s LIFECHANGER I had to talk to him. His film is such a knock out I had to do more than just let his film pass through Fantasia with only a review. I had to know more because LIFECHANGER is a film that demands to be thought and talked about and in order to get the discussion going I wanted to get Justin’s thoughts out there. The problem in doing it was that Justin was getting ready to go to Montreal for the World Premiere at Fantasia and I was stuck in New York bouncing between multiple film festivals. Time was short to connect. In order to make things easier I came up with some questions and emailed them to Justin. The idea being he could answer them when he got a chance and I would have time to get the interview up. What follows is our exchange. Hopefully it will be followed by a longer more detailed one when we can meet in person for a long more detailed talk on his large body of work. Before I turn you over to the Q&A I just want to take the time to than Justin, yet again for making time to do this and for making one hell of a great film. STEVE: Let's start with the obvious first question, and the one everyone will ask, where did you come up with the idea for the film? JUSTIN: It started with my frustration with not being able to get some much larger projects, THE ETERNAL and TRIPPED, to camera. I was part way to full finance on both of those projects, but not making them happen, so in 2014 I started thinking I'd have to do what I did with THE COLLAPSED back in 2010 - shoot something for whatever small amount of money I could put together. So I started thinking of how I could do something much more dynamic and thoughtful than that older film, while still keeping the budget down, fully expecting I'd have to shoot it for about $100K or so. I was on a bus one day and I started thinking about what if I randomly saw myself out in public, but then realized that was basically just Denis Villeneuve's 'Enemy'. Still, the seed was planted then and the idea for LIFECHANGER sort of organically came to me in the coming weeks. At the end of 2014 I wrote a character breakdown, beat-sheet, treatment and then first draft of the script just before X-mas. From there the script was re-written a lot right up until we shot. And the size of the project grew a bit (while still being low-budget), once my co-producer Avi Federgreen came onboard and we started aiming to put together a bit more money so we could put more production value on screen. STEVE: The more I think about the film the less it becomes a horror film. I know for marketing purposes you have to call it a horror film, but how do you want the film to be classified? JUSTIN: I'm not huge on classifying films as anything, to be honest. I get that people are comfortable putting stories in easily sorted boxes so they know what they like, and so they can find media that fits their pre-existing tastes. But in the case of the movies I make, as much as I am a horror fan and monster kid at heart, I don't really set out to fit a genre from the start. I set out to tell a story, and through my own twisted mind it just so happens to go in the direction of horror more often than not. 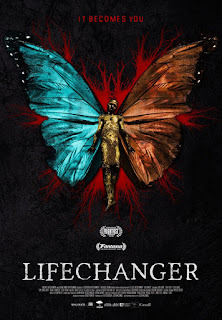 I would say that LIFECHANGER is a horror film, because the genre is vast and encompasses a huge number of sub-genres. But I'll fully admit it's also a thriller, somewhat a neo-noir, a story of obsession, a tale of magical realism, and even comedic at times. But I think that all comes out of the subject matter organically. I think there's a Jason Blum quote, and I'm paraphrasing, that says something like "a good horror film could have the horror removed and still be a good story", or something like that. I am fully-expecting people to say this isn't a horror film. Some of my own producers have said that. But I don't agree with them. Which brings us to your next question, I guess! STEVE: Tying into that, how do you see horror films are they something more than just scary films or do you feel the genre can be more than that? JUSTIN: The genre can be much more than that. I see this trend lately of people loudly proclaiming that '__________' isn't a horror film, and it's really short-sighted in my opinion. Horror is a lot more than just gore, or monsters, or ghosts. Horror doesn't have to scare you. It can also disturb you, make you evaluate life, thrill you, and ultimately uplift you. I think part of the reason people like to look at horror so narrowly is that the majority of mass-market genre films all fit into an easily-classifiable section of 'things that go bump in the night', or 'killers coming to get you', but really that is just a fraction of what can be considered horror. And if you want to expand even further, and use the word 'genre', that also encompasses action, sci-fi, dark comedy, noir. The point being that if a story has horrific elements, be they overt, emotional or existential, then it can be considered horror. And even films that are not actually horror, can have scenes in them that use the cinematic language of horror to tell their story. Russian-roulette in 'The Deer Hunter'. The firecracker scene in 'Boogie Nights'. The opening ten minutes of 'Irreversible'. You don't need the classic horror tropes to have a horror film on your hands. Which is why a film like 'Hereditary' gets released that mostly feels like a really intense family drama for most of the audience, but is absolutely a horror film simply due to the visual language, tone and atmosphere implemented by the filmmakers. When that last act comes in 'Hereditary' there were all these complaints that it came out of nowhere, and that it 'suddenly became a horror film', but in reality it was one from the very first frame, the hints were all there. It just wasn't slapping you in the face with them. I wonder what a modern audience would make of David Lynch's 'Eraserhead' under the current narrow view of what a genre film is. To me it's one of the most unsettling and terrifying films I've ever seen, but I bet a lot of people would say "that's not horror". STEVE: The casting is key to the film. It wouldn't have worked if all of the performances came together. How did you go about casting the film? How did you get all of the performances to mesh? How did you handle the voice over in getting the performances to mesh? Was Bill Oberst who did it involved in working it all out? JUSTIN: We shot this on a very low-budget, non-union in Toronto, so our pool of actors to choose from was limited. We couldn't use ACTRA or SAG performers, so every role was auditioned for. We had a great casting director onboard named Ashley Hallihan who collected us a ton of self-tapes based on sides we gave out, and from there we narrowed down our choices. I felt it was important to simply get the best actors we could, and make them fit the characters on page, instead of going by look and presence and hoping they could act. Our lead Lora Burke impressed me in last year's Fantasia film 'Poor Agnes', so while we did get auditions for that role I always thought she was 'it' throughout the process. Jack Foley had just done a film called 'Fugue' with my co-producer Avi Federgreen, so he came highly-recommended (and Avi was right). I knew some others, didn't know the rest, but they all had to do a read. Once everyone was casted I sent out a detailed character history to each of the actors who would have to play Drew, the shapeshifter, which outlined his entire life, so they could internalize that info. Then we ran what I called the 'Drew Boot Camp', where we all met and discussed the character at length, coming up with specific ticks and ways of moving that each actor would repeat when it was their turn to be Drew. Even then, you had to be actively watching on set to make sure nobody took the character in too far a direction away from who Drew was. Even in post, it was very important to make sure the character seemed mostly consistent across all the bodies. 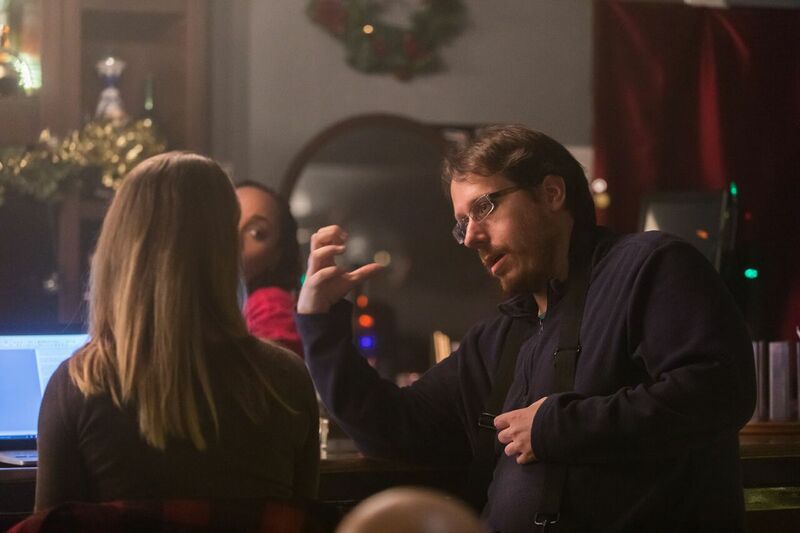 Particularly with Sam James White, who gave us some really interesting stuff on set that was great in an isolated kind of way, but when it came to the edit we had to cut a lot out to make the performances seem unified. Painful choices, sacrificing individual scene elements for the good of the whole. As for Bill Oberst Jr., I've been a fan for quite some time, but we actually initially were going to use a couple of other voices for the film. There's an actor named Peter Higginson (Latched, Point of View) who did the voice in earlier cuts, but we spent so much time re-writing the inner voice in post, we wanted to go a different way with the style and type of voice we used as well. Peter did great work that ultimately didn't end up fitting our final film. Then we went out searching for a new voice during post, at which point Lance Henriksen agreed to do it, but SAG blocked us from using him because we didn't hire him 2 weeks before principal photography. My next thought was immediately Bill Oberst Jr., who I reached out to directly and am so glad is now the final voice in the film. Now that it's done, and with the delivery he gave, I can't imagine anyone else. But the road getting there was long. STEVE: You use practical effects and no real CGI that I was able to spot. Was that your choice or was it a budgetary thing? How do you feel about practical effects over CGI? JUSTIN: There is some CG in the film, but it's very subtle. The best CG in my mind is the stuff that the audiences don't identify as CG. And when it comes to modern effects work, and a lot of effects guys will tell you this, practical work augmented with CG when it makes sense, can actually give you a stronger effect than the practical alone. It could be as simple as hiding the seams in the make-up, removing wires, giving more life to eye movements, etc. But given my background, I'm going to be a practical effects supporter till the day I die, while still believing CG has a place in film when utilized correctly. The challenge with practical is that they take longer, you need to give your artists more lead time to build everything, and on set you need to be aware of how long they can take. So it can be more expensive to do it practically. Best tool for the job, is what you use in a given moment, is what I believe. JUSTIN: We will be doing our festival run throughout the Fall and early Winter, around the world. Then, the film was financed partially by Uncork'd (who have US rights), and Raven Banner (who have Canadian rights and international sales). The plan from what I know now is to release it on Blu-ray/DVD/VOD in the first quarter of 2019. And there may be some limited theatrical just before Xmas (because the film takes place over Xmas), but that is still being solidified. STEVE: You've produced, directed and written almost two dozen films, and you've bounced across genres and in and out of documentaries. How do you choose what project to take? Do you have any problem going from narrative to documentary and back again? JUSTIN: It's probably pretentious to say, but so far most of my projects have chosen me. 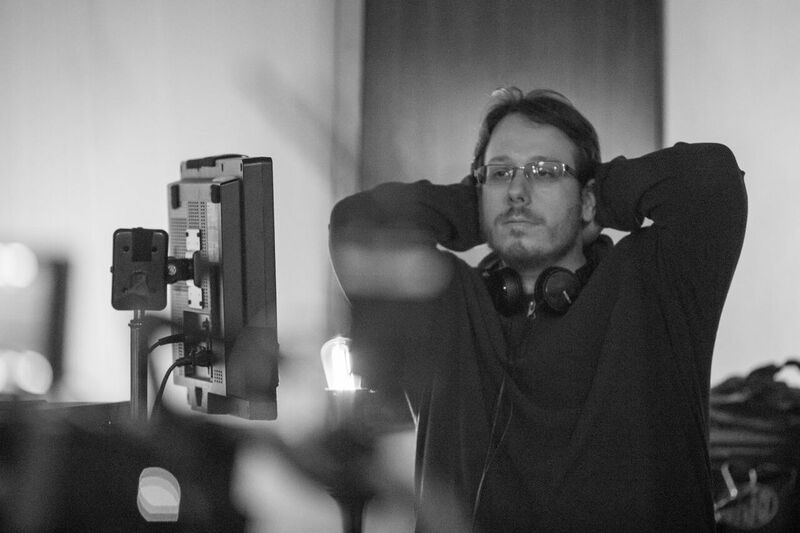 In that the majority of my own work, as a director at least, have been things that I've self-generated. Some of the stuff I've produced is from material that is not my own, but I like to play in multiple genres and disciplines because I love film in general, and my ideas don't usually fit just in the genre. That being said most of the scripts I have in my slate at the moment are at the very least horror-related. So really it's about the story I want to tell, and what I want to say with that story. I don't like to be bored, and I like to challenge myself as much as possible, which is why, for example, the last feature I made before LIFECHANGER was a single-take neo-noir thriller/drama called BROKEN MILE. As for the documentaries, they've all been projects I've shot slowly on my own pocket-money over the course of years, as a way to keep busy and always keep producing material when I have less going on. They are almost hobby films in that respect, something to moonlight on while I'm trying to get narratives off the ground. I love documentary though, it's just that they tend to be a ton more work over a longer period of time, and a lot more complicated thought-process in post, so it's a whole other skill-set I've been honing over the years. 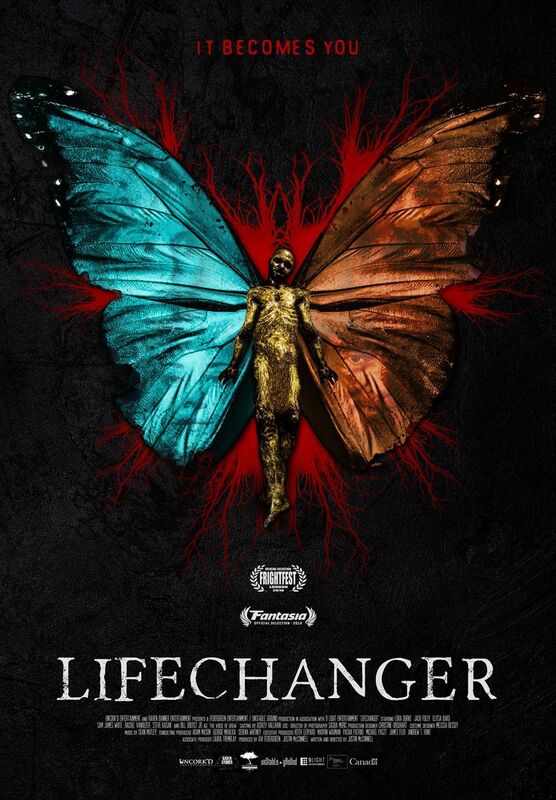 Overall though, of the films I've actually directed, LIFECHANGER is the first to have any kind of real budget (within reason), and the first that wasn't basically paid for through borrowed money, money I've earned via my production/post company, or favours. 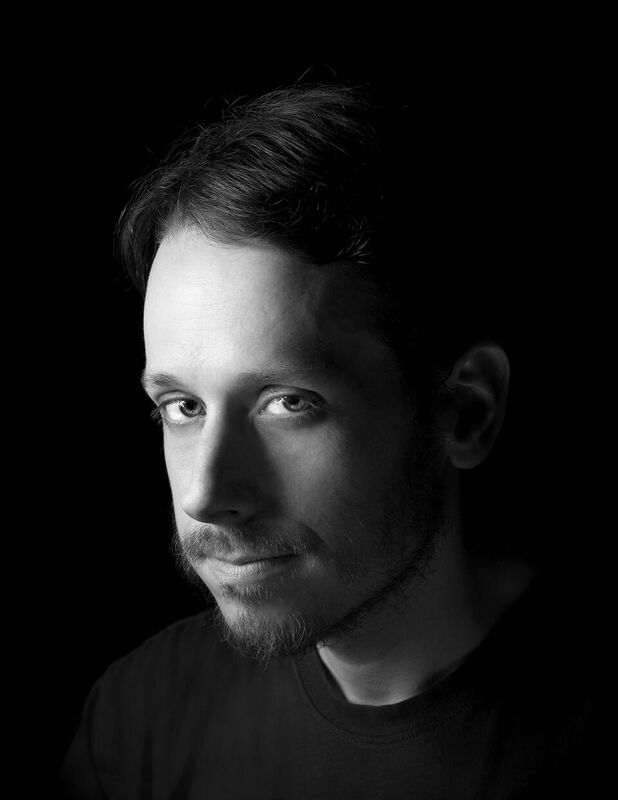 STEVE: Having spoke with several filmmakers who've done both shorts and features over the last year I was curious how do you determine the length of your projects? Do you see your shorts as truly self contained or are you using the shorts as proof of concept? Or is it just the story you want to tell? JUSTIN: The story and the concept determines the length. And also the available budget and the ultimate purpose the project serves. I fully believe in the power of short film production, as both a very efficient proof-of-concept and as a calling card. I've run a short film festival in Toronto since 2011 with Rue Morgue Magazine called LITTLE TERRORS where I've played over 600 short films to date. A lot of those directors have gone on to big careers, some even directing massive tentpole properties (ie. Christian Rivers' 'Mortal Engines'). They open doors. Some of the shorts I've made were just because I had an idea I wanted to do, a little cash, and a little willpower. Others were meant to be proof-of-concepts. Others were stand-alones but then were repurposed as proof-of-concepts once we received a lot of positive feedback on them. For up and coming filmmakers though, shorts are essential, as they are great education and experience. And if you do a good enough job, they can build you a career. STEVE: What is next for you? JUSTIN:We have two features that should be going to camera by late-Spring at this rate (proverbial *knock on wood*, as this is a really tough business). Both are with my writing-partner (on these projects), Serena Whitney. One is the adaption of Michael Prescott's novel 'Kane', which we are supposed to be shooting in Australia under the title 'Mark of Kane'. Serena and I co-wrote the script to that one, and are co-producing, while Serhat Caradee (Cedar Boys) is attached to direct. The other project is the feature-length version of our X-mas horror short 'Do You See What I See? ', which for anyone who has seen the short, is a whole new animal now, both in scope and style of film. Serena and I are co-writers/co-directors of that one. We've also go our third Little Terrors anthology release, 'Blood Sweat and Terrors', coming out this November across North America. And I'm in post on the feature documentary/8-episode digital series 'Clapboard Jungle: Surviving the Independent Film Business'. There's a bunch more on the slate, but those are the most immediate things. STEVE: Since you are at Fantasia I have to ask, have you had a chance to see anything and if so, other than your own film, what do you recommend? JUSTIN: I'm a programmer at Toronto After Dark, so I've seen a lot of the Fantasia line-up already this year. The ones that I can recommend and am allowed to talk about: Nightmare Cinema, Mega Time Squad, Satan's Slaves, Blue My Mind, Five Fingers For Marseilles, The Dark, Luz, Knuckleball, I Am A Hero, Heavy Trip, Tigers Are Not Afraid, Tokyo Vampire Hotel (though I recommend watching the full Amazon Prime series of that one instead of the cut-down festival version), What Keeps You Alive, Mandy. Also, they are doing a retrospective screening of 'Body Melt', which if you haven't seen, you HAVE to track down.